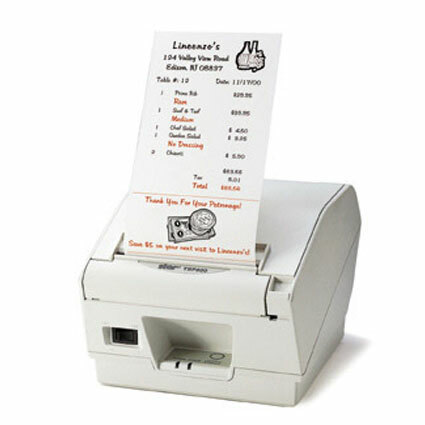 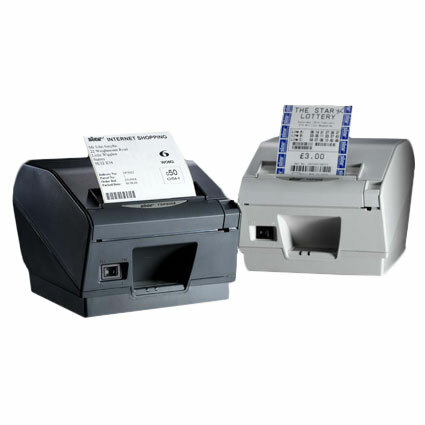 The Star Micronics TSP800 Series thermal printers feature a 4.4" wide paper width, making them ideal for applications requiring more information that can fit on standard 3" paper. 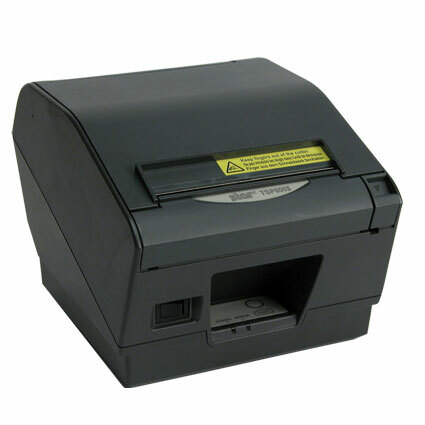 With a 5.9" per second print speed, drop in paper loading, and two color capabilities, the TSP800 Series provides a versatility to suit most any receipt printing needs. 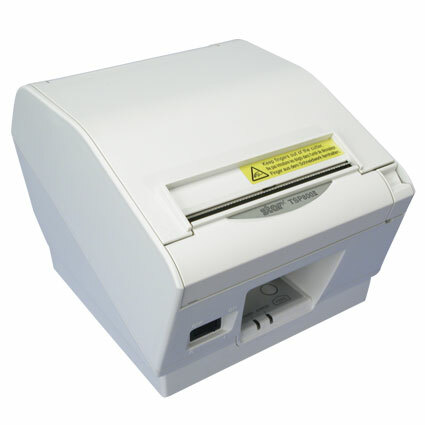 Wide Paper Width - 112 mm/4.4"
Easy To Change "Cartridge-Type Interface"
Easy Load "Drop-In & Print"
Paper Thickness: 0.002" to 0.005"
Dimension (WxDxH): 7.09" x 8.54" x 5.83"